Fun from our flagship fact series. We got inspired by the internet and thought: what if we could make fact books as cool as the web? Discover More is what we came up with. Books you can browse through: stepping through pictures frame by frame, or picking up quick facts and awesome tidbits. 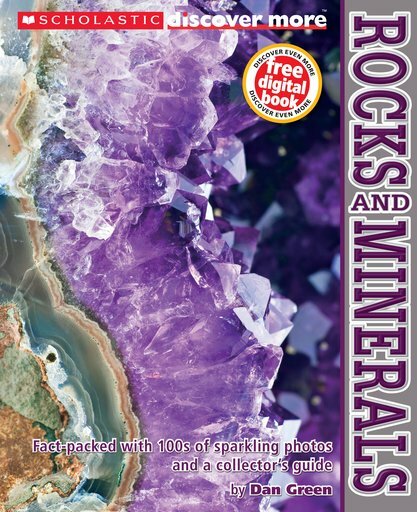 Each book even has a free digital book full of activities and extras. Now it’s the turn of rocks. Volcanoes, caves and mines are treasure-troves of buried gems and minerals. Not just boring old pebbles: objects that have shaped human history, from the Crown Jewels to spacecraft. Find out why geology rocks. Great book, but disappointed that the free download book is not available although this was one of the reasons I bought this particular book, feel cheated.Feel that the notice on the book should have been covered over.